CHIKWAWA, Malawi – It was the second time in three months that Mary, 43, had to fight for her life. 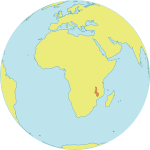 The first was in January, when torrential rainfall inundated much of southern Malawi, in what is likely to be one of the deadliest natural disasters in the country’s history. The flooding forced Mary to escape to Jombo camp in Chikwawa District. There, she would face a second deadly threat: her husband. Mary lived apart from her husband before the floods; she is his third wife, and he lived with his seventh. But after she fled to the displacement camp, he grew jealous and distrustful. On 5 March, while she visited a friend near the camp, Mary’s husband arrived in a rage. He accused her of being unfaithful and attacked her with a knife. Her screams drew a group of young men who had been playing football nearby. But before they could drag her husband away, he slammed his head into hers, opening a deep gash in her forehead. Mary was taken to a nearby hospital, but she could not afford treatment. The staff referred her to a free clinic nearby. Her husband was arrested and held overnight, but he was released the next day after she declined to press charges. “Let him be free to go and live with his other wife,” Mary said when a UNFPA specialist visited her to arranging counselling and support. She explained that she would be even more fearful if her husband is sent to prison and then is released. “I am afraid that one day he will kill me,” she said. The widespread flooding in Malawi has displaced some 230,000 people, according to the most recent government and UN estimates. Humanitarian emergencies exacerbate the vulnerability of women and girls. In the chaos following a disaster, security can be difficult to establish, and opportunities for abuse and exploitation increase. The disaster in Malawi has been no exception: women in displacement camps say they fear being assaulted while walking alone to the toilets. UNFPA and its partners are responding to these increased risks. 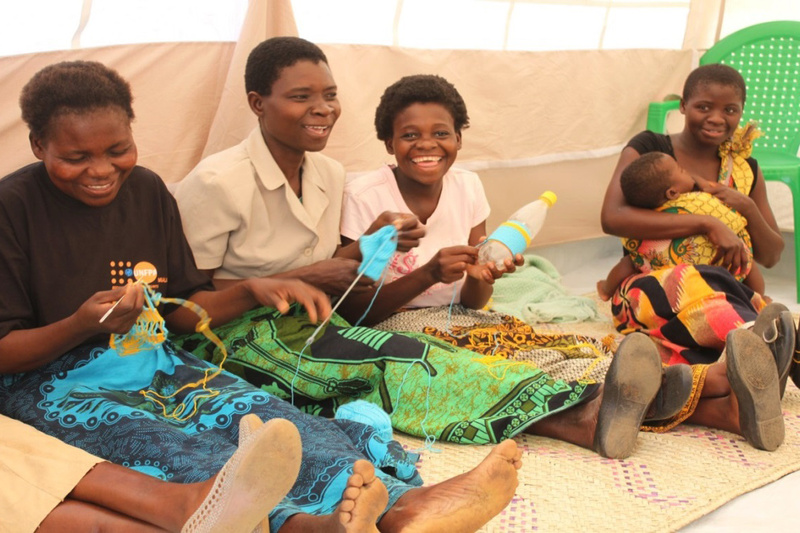 Working with the Ministry of Gender, Children, Disability and Social Welfare, UNFPA has helped procure some 50 tents to serve as safe spaces for women and girls. And in the districts worst affected by the floods, UNFPA has helped officials establish task forces to address gender-based violence. These task forces check camp conditions, identify the needs of vulnerable camp residents, and oversee safe spaces and mechanisms for reporting abuse. The task forces also make sure post-exposure prophylaxis is available in nearby health centres to help prevent HIV transmission among survivors of assault. UNFPA is also helping to strengthen Victim Support Units, which provide social, medical and protection services to survivors of abuse, exploitation and neglect. 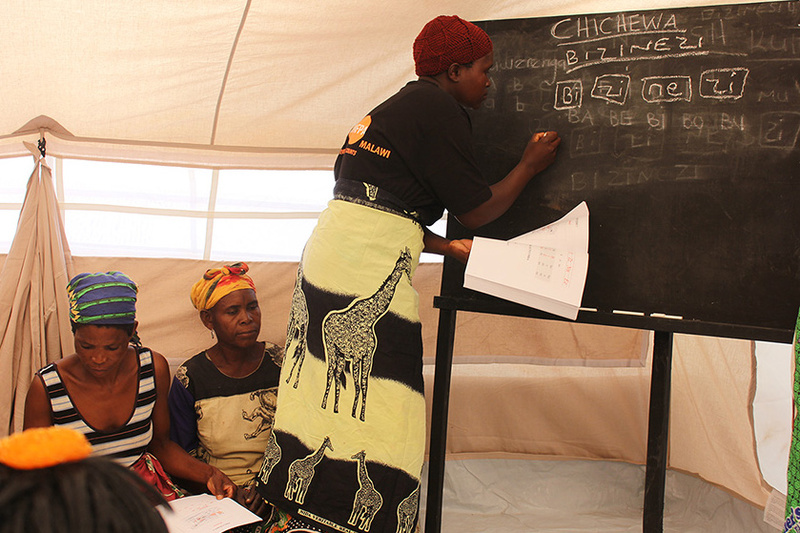 UNFPA is working with local partners – including YONECO in Zomba and Phalombe, CAVWOK in Chikwawa, and WolREC in Nsanje – to establish safe spaces in three flood-affected districts. These spaces offer a place where camp residents can report instances of gender-based violence, and where they can receive counselling and other support. Recognizing that displaced women and girls are also economically vulnerable, the safe spaces are additionally providing skill-building activities. Supplies for knitting, crocheting and sewing have been procured to help women generate an income. Adult literacy activities are also being conducted.